Our last workshop was hosted in Brisbane and focussed on communications, diversity and inclusion, advocacy, grants, risk and compliance, events and sponsorship, and organisational best practice. Welcome to the Science & Technology Australia(STA) Member Benefits Program. We are proud to provide our members with access to a range of benefits designed to help science and technology associations, societies and other organisations to operate as efficiently and professionally as possible. Benefits include discounts, training and exclusive offers from a range of service partners offering accounting & auditing, corporate governance and insurance, among other services. New partners will be added on an ongoing basis, with members’ needs in mind: your feedback and requests are always welcome. Through the Member Benefits Program our goal is to enable members of STA to access better-than-market-price services, complimentary training sessions, access to quality professional advice and assistance, to support members to work smarter while saving time, money and resources. Existing members of STA are eligible to take advantage of our partners’ benefits right away. To access one or more STA member benefit, please contact our Events and Membership Manager, Mitchell Piercey via email or on (02) 6257 2895. Founded in 2004, Associations Forum Pty Ltd is a commercial business that has 500 member organisations. Since their foundation, they have provided assistance to hundreds of associations and charities in Australia, New Zealand, Singapore, Malaysia, India, South Africa and other nations. To improve structures, attain higher performance and make the most of opportunities. Just as your organisation strengthens its members and community, Associations Forum will provide you with the essential tools, resources and solutions to advance your organisation’s current and future needs. A 20% discount whether at member or non-member rates to the 2018 Associations Forum National Conference. "Associations Forum gave us the advice that we needed, they helped us change our processes and the way we did things, and created a charter and governance model that sets us up for the future. Without their help, we would not be in the position we are today." "I highly recommend other organisations to connect with Associations Forum who are able to provide expert training and direction to be effective and transparent in all aspects of operating a company. Our Silver Membership has already rewarded us with insight and confidence in functioning as a sustainable business to the benefit of our membership." "I would like to indicate our sincere appreciation and to acknowledge Associations Forum for the integral role in which you all played in the success of this project. The ACORN Board is very grateful to each of you for your guidance, expertise and support during this process. With your assistance, this seemingly impossible task was surprisingly simple." gemaker helps Australia’s researchers and innovators take their ideas to the world. We provide expert advice, services and training to commercialise new knowledge and technologies. We provide training and mentoring in industry engagement for researchers. We connect research organisations, government departments and agencies, professional associations, start-ups, SMEs and corporations. We’ll help to expand your networks of prospective partners, funders and customers. Our technical industry experts will assess the commercial viability of your new product or service. Our in-depth market analysis will identify what your key competitors are doing, which market/s you should enter, and how you can develop a customer base. We’ll work with you to develop and implement strategies to attract investors – angels or venture capitalists, public or private - or access other funding sources. We’ll assist with grant applications. STA Member organisations that book an Industry Engagement Training course through STA receive 10% off the cost of the course. Enquire now using the button below to access this Member Benefit. For over 55 years, Guild Insurance has worked with more than 140 professional associations across Australia providing bespoke, competitive and industry-specific insurance solutions. This extensive experience is what makes it possible for Guild to develop insurance products that meet the changing needs of not-for-profits and help you, and those you help, along the journey. Guild can also provide professional indemnity insurance solutions for your members to help them continue doing what they do best. By partnering with Guild, you can have peace of mind knowing you’re covered for whatever challenges come now or into the future. Guild understands your Association is unique and will tailor a solution to meet your needs. To discuss how, enquire now using the button below to access this Member Benefit. 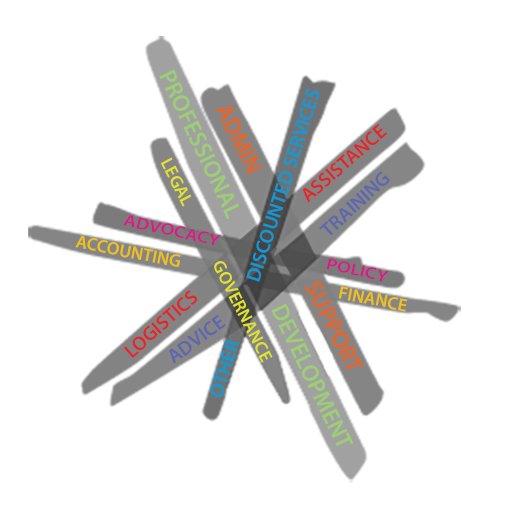 Hill Rogers is a mid-tier accounting and financial services firm with over 50 years’ experience. At Hill Rogers they offer audit, accounting, taxation, advisory, superannuation and financial management services. Their teams work side-by-side to ensure that you receive a collaborative outcome that combines the expertise of 10 partners and more than 50 employees. By taking a holistic approach to gaining an understanding of your unique, nuanced needs and challenges, they can draw on the strong technical skills and deep expertise of their partners and team to deliver tailored and practical results. Hill Rogers helps solve problems, and they are driven by the genuine determination to see you succeed. Free subscription to the Hill Rogers reporting updates. "Thank you for providing such a wonderfully informative course this week. I found the material challenging and interesting but also of great value." "Trust, knowledge and quality advice are among the most important things to my practice and business interests. I attribute these qualities to the continued and successful business relationship I have shared with Hill Rogers." "Hill Rogers' expertise and experience in the field of school education are both highly valued by the Association of Independent Schools of NSW. Their course presentations in our Leadership Centre together with their audit experience, particularly with the Building the Education Revolution (BER), has been a significant benefit to the Association." Redboat is a full-service animation & video production service specialising in Government and science communication. Our work helps leaders in Government, science, research and technology generate engagement, impact and outcomes. We've helped organisations like CSIRO, the Department of the Environment & Energy, the ATO, and Geoscience Australia generate large scale engagement with important, complex and sensitive subjects that make a real difference to the lives of Australians. See examples of animation and video produced by Redboat at: www.redboat.com.au/our-work, including the animation produced for Science meets Parliament 2018. "Redboat helped us to create an online animation for interested parties to learn about Marine Zoning. We had a short turnaround time and very specific requirements, which did change at our end during the course of the project. The team at Redboat were wonderful. They offered suggestions to improve the process along the way, never seemed phased by last minute changes and were generally a pleasure to work with. We were thrilled with the end product. I’d highly recommend their services." "We used Redboat to tell a complex story in a short animation. We were completely happy both with the result – it made quite an impact at the time and is still being used successfully – and with the professional way in which Adrian interacted with the team in developing and fine-tuning the brief. I enthusiastically recommend his work generally and have done to others who might be looking for similar services." "Their fantastic, great value work, flexibility and commitment to always do the right thing by the job and to ensure the very best outcome is to be admired." People judge organisations by the quality of their communication. Scientell specialises in planning and implementing communication strategies for scientific, environmental and technical agencies. They are experienced in writing, editing, content development, and communication planning, among other services. write and place feature articles for traditional and new media. Scientell’s Directors are experienced at raising funds for research. They can work with you in the planning and implementation of strategies to raise research profiles and communicating research results and applications. "Scientell have helped ACOLA on a few projects now and have easily become our first choice partner for communications. Whether writing our book or making promotional videos, Paul and Simon are easy to work with, make technical content easy to understand, and deliver exceptional results. Their versatility and professional approach to addressing our needs keep us coming back." "Simon and Paul ran the online forum CoastExchange for the coastal adaptation community in Australia on behalf of NCCARF. For over a year, they were unfailing in producing interesting, sometimes provocative and always relevant, weekly content for the forum. They never missed a deadline. The only reason they aren't still engaged is that we ran out of funds for the project. " "Scientell work closely with the Ecological Society of Australia to communicate to the public the importance of our members’ research in understanding our natural world, and informing environmental policy and biodiversity conservation. In addition, through focussed skills based training, Scientell are helping us to increase the ability of ecologists to become more effective science communicators." TFE Hotels (Toga Far East Hotels) is a leading hotel operator across Australia and New Zealand (see map of hotels here), including Adina Apartment Hotels, Medina Serviced Apartments, Rendezvous Hotels, Vibe Hotels, Travelodge Hotels and TFE Hotels Collection. These brands represent over 10,000 apartments and hotel rooms which vary in price, location and design to meet a range of different accommodation needs. Science and Technology Australia Members will receive a discount of 15% off each hotel’s Best Available Rate. Rates are applicable for bookings of up to nine (9) rooms. Bookings greater that nine (9) rooms are subject to individual negotiation. Blackout periods may apply to Canberra Hotels on the following dates - 8 May, 2018 & 8-13 July -2018. Our friendly, professional team understands your rental needs. You might be after an; economical car, 4WD, sedan or luxury car, thousands of people all over Australia trust us every day to help them on their way. 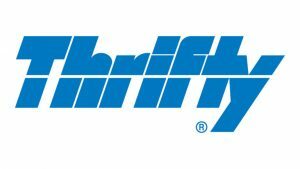 At Thrifty, we're always happy to help you choose the right passenger. So, from the moment you walk through the doors to the time you drive away, in one of our rental cars, you can expect great personal service all the way. Whether you're in Brisbane or Broome, Darwin or Dubbo, we're never far away. We have more than 170 convenient locations at all major airports and metropolitan locations, plus one of the best networks throughout rural and regional Australia. There's sure to be a Thrifty location nearby, wherever you are in Australia. Enquiry now using the button below to access this Member Benefit.